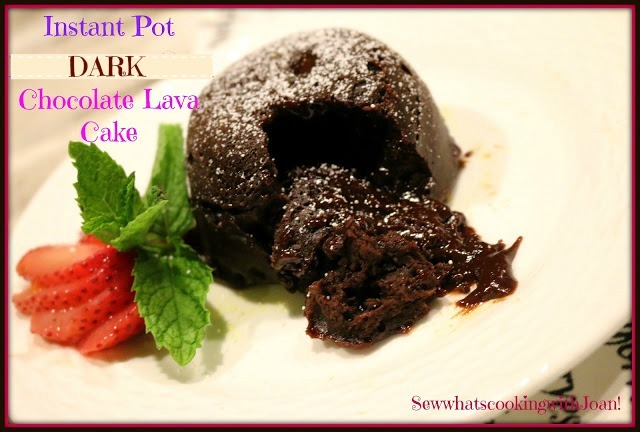 This cake is so easy to make, preparation time 5 minutes and cook time 8 minutes in the Instant Pot! On a recent "Glamping" trip, I made this in our motorcoach for my son and daughter-in-law for their 6th wedding anniversary! My niece and nephew with their kiddo's were all there. They loved it! 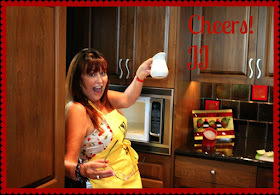 I used 4 - 6 ounce glass or ceramic ramekins, bowls or wide mouth canning jars. If using a smaller ramekin reduce the time by two minutes. Spray with Pam or a like spray. 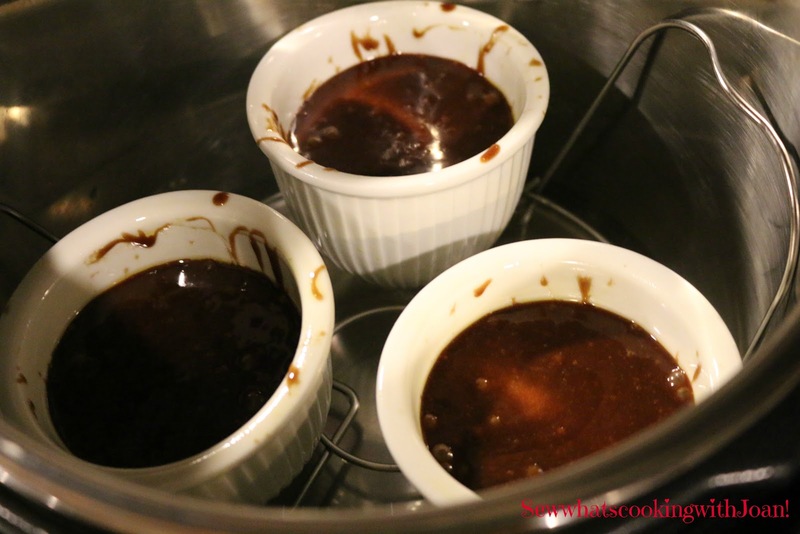 Melt the butter and bittersweet chocolate together in microwave or in a double boiler. Mix powdered sugar into the chocolate mixture. 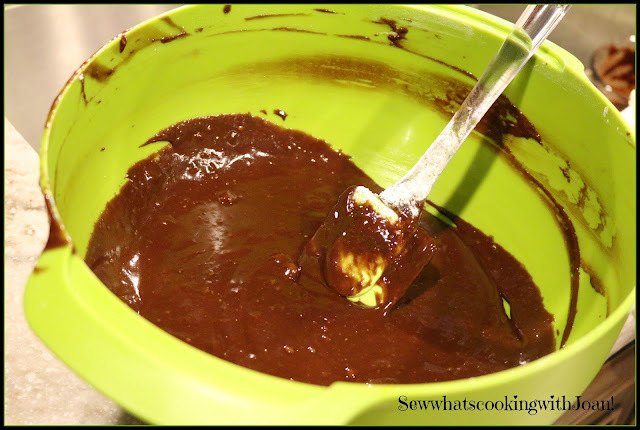 Beat the eggs and egg yolk together and add to the chocolate mixture until combined. Mix in vanilla and flour until well combined. Divide the batter between the four ramekins. Place the trivet into the instant pot with one cup of water. Put your Instant Pot to "High Pressure" and time to 8 minutes. When finished do a Quick Release. Using your Instant pot mitts or like, remove the ramekins from the instant pot and immediately flip onto your plates. Some may crack when you flip and the lava will flow out. Top with your favorite topping! I sifted powder sugar on top lightly, put a dollop of freshly whipped heavy cream on the side and garnished with a strawberry and mint leaf sprig. 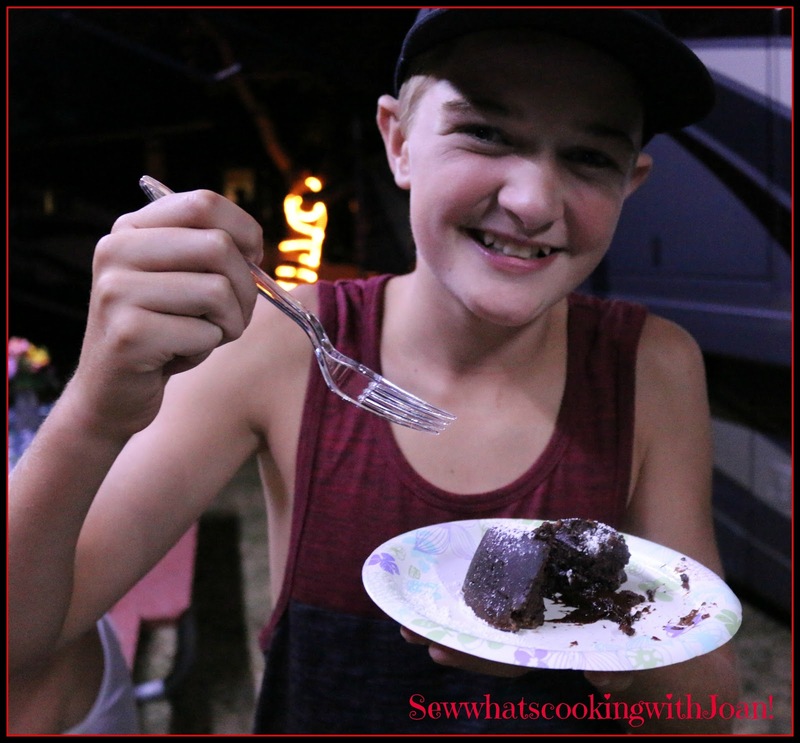 Kelton loved his Lava cake, this is his second one!! Relaxing on my nieces duck in Moses Lake, Wa. We had a great time on jet ski's, ATV's and boating.